IBEW 1245 notes the passing of these members, with gratitude for their service to the union. 35-year IBEW member David Fruhwirth passed away on Feb. 20 after a battle with cancer. He had been working as a Journeyman Lineman/ Troubleman at NV Energy. This photo was taken during a memorial service for Brother Fruhwirth. Robert “Bubba” Avery passed away on January 15, surrounded by family and friends. Bubba was proud 45-year IBEW member, journeyman lineman, and member of the union’s Advisory Council, representing outside construction. If you ever got to hang around Bubba you know he was quite the character and always fun to be around. Bubba will always be remembered as the author of the tramp lineman poem that is up on display at the IBEW 1245 union hall. Bubba’s service will be held on February 1st at 3:00pm at the Scottish Rite Temple, 6151 H Street, Sacramento. Michael Davis—Executive Board member, Treasurer, Vice President, President, and 40-year Shop Steward for Local 1245—died Jan. 3 at age 75. His knowledge of electric operations earned him high regard as a system operator in San Jose, while his deep commitment to labor’s cause won the respect of his union brethren. He turned a quiet personal style into a strength: He didn’t hurry. He listened well. He spoke up when it mattered. Read IBEW 1245’s tribute to Brother Davis here. 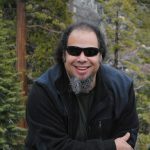 Brother Eric Tanaka passed away suddenly in Sacramento. 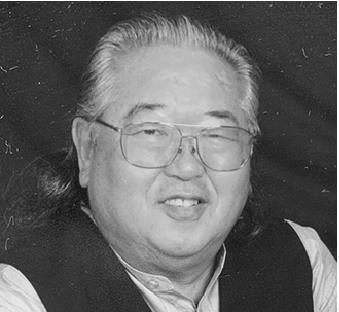 Tanaka was initiated into the union in 1973, and was an active IBEW 1245 member for many decades, serving as a shop steward and friend to his co-workers at Frontier Communications in Elk Grove. He retired in 2013 after 40 years in the union. The funeral will take place on January 11, 2019 at 11am at St Luke’s Lutheran Church on 7595 Center Parkway Sac 95823. His full obituary can be found here. 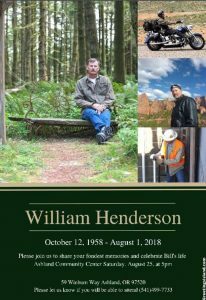 Journeyman Lineman and 20-year IBEW 1245 member William Walker tragically lost his life on Oct. 10, 2018. He was reportedly driving home from signing the books at the Local 1245 union hall when he experienced trouble breathing and pulled over to call an ambulance. They were not able to resuscitate him. Visitation services will be held on Sat., Oct 20 from 9-11am at Hatfield Funeral Home, 830 S Highway 92, Sierra Vista AZ 85635. We deeply regret to announce the passing of five-year IBEW 1245 member Matthew Simmons. Brother Simmons was working as a top foreman for Utility Tree Service in the Colgate Division when he collapsed on the job on Sept. 26. 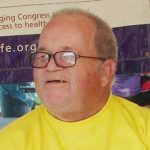 He passed away on Oct. 5 in Marysville, reportedly due to complications stemming from an ascending aorta. He was just 37 years old. He leaves behind his loving wife, Rebecca, and two teenage sons, Aaron and Jared. A funeral service will be held Friday, October 12, 2018, at 2:00 p.m. at Gridley Biggs Cemetery, in the gazebo. A celebration of life will be held at the home of Dennis and Pam Morrison, following the service. It is with a heavy heart that we announce that former IBEW 1245 Business Rep Richard Dunkin passed away on August 25 at the age of 74 due to illness. Brother Dunkin was initiated into the IBEW in 1967, and worked as a journeyman lineman for many years. He later served as an IBEW business rep, supporting Local 1245 members in outside construction. Brother Dunkin’s dear wife of nearly 30 years, Bonnie, passed away earlier this year after a battle with cancer. Dunkin himself had been dealing with health issues for the better part of a decade, and our entire IBEW family mourns his passing. It is with an exceedingly heavy heart that we announce the passing of IBEW 1245 member Jairus “Jay” Ayeta. 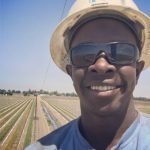 Brother Ayeta, a PG&E GC apprentice lineman, was working to restore power in the Carr Fire zone when he was reportedly involved in a fatal off-road vehicle accident. He was just 21 years old. Brother Ayeta hailed from Kampala, Uganda and was working out of the Davis yard at the time of his death. He had previously worked at Pike Electric in Florida. Friends describe him as upbeat, hard-working, personable and an avid learner. His presence will be missed by his apprentice class and all those who had the fortune to know him. William Amzie Henderson, age 59, passed away Wednesday August 1 in his home surrounded by his loving family. Bill is survived by his beloved wife of 35 years Alois, his two children Melanie & Justin, grandchildren Erika & William and his brother Carl Henderson. Bill Henderson was born October 12th 1958, in Modesto California to William Henderson and Oleta Milburn. William graduated from Hilmar High School in 1978 and married the love of his life Alois Zak in 1983. They had two children and lived in the Central Valley until 1999 when they moved to Grenada, California and eventually Southern Oregon in 2006. Bill was a hardworking family man. He began his career with Pacific Gas & Electric Company in 1985 as a utility worker. He quickly became a welder and was a respected Gas Transmission Foremen in 2016 when he retired. His career took him all over California, with the majority of those years spent in Chico and the Bay area. He was loved and respected by his crew, coworkers and all those who worked alongside him. Following his cancer diagnosis, he retired after 31 years. In his free time, he enjoyed traveling with his wife, diving, riding his Harley, and tinkering in the garage. But what he loved most was spending time with his grandchildren, whom he doted upon. He was a kind man who always put others before himself. He could fix anything and would give the shirt off his back to a friend in need. He was a great friend, an even better father, and a supportive and loving husband. He will forever be in our hearts and will be greatly missed by our friends and family. A memorial service will be held on August 25 at 5pm at Ashland Community Center in Ashland, OR. Click here to leave a message of condolence for the family. It is with a heavy heart that we announce the passing of seven-year IBEW 1245 member Shane Keyser, who lost his life in an auto accident on April 28, 2018. 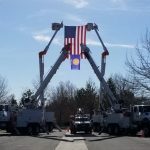 Preliminary reports indicate that Brother Keyser, who worked as a PG&E Gas Compliance Rep out of Redding, was involved in a head-on collision while he was traveling back to his home in Cottonwood after assisting in preparations for the upcoming IBEW/PG&E Gas Rodeo event at the Winters Training Facility. Keyser was a well-known face at Gas Rodeos, even making it to the National Utility Locate Rodeo back in 2016. Keyser is survived by his wife and three young children. On April 5, we lost retired brother Joe Moreda. He was an active and loved presence at our Santa Rosa Retiree Club. A funeral mass for family and friends will be said on Thursday April 12, at 11:00 a.m. at St. Vincent De Paul Catholic Church in Petaluma. Our beloved father, husband, papa, and friend, Charles Ray Daily of Vacaville, CA, passed away peacefully on March 27, 2018, in Napa, CA. He was surrounded by his family, close friends, and his dog Chaysie. He fought a courageous battle with Parkinsons for many years. He was proceeded in death by his brothers Jerry and Dan; and their parents Steve “Dub” and Irene Daily. Charles was born on August 6, 1944 at Sargent, Nebraska, and was raised on the Daily Farm where he learned the value of hard work, the importance of family, and a love of Country. He grew up surrounded by countless cousins, aunts, uncles, and close friends, that helped shape the man he would become. He attended school in Milburn, NE until graduating from Merna High School in 1962. He left the Sandhills of Nebraska for Marine Corps Recruit Depot San Diego, CA with brother Dan, cousin Marvin, and some high school friends. His Marine Corps career was cut short in boot camp, and he settled in the Bay Area CA. He was hired as an apprentice lineman with PG&E in 1967 to begin a career that would span 5 decades, and 40+ year member of the IBEW L.U. 1245 as a Journeyman Lineman. When not working you would find him spending time with family, playing cards, listening to live music, enjoying bay area sports, watching news radio, or making memories with his grandchildren. He will be greatly missed by all who knew him. Charles is Survived by his Brothers Walt (Cathy) and Joe (Lucretia) of Arizona, his wife Peggy, children Shane, Sher (Tim), Kelly (Randy), Renee, and grandchildren Tina (James), Alix, Jacob, Josh, Liam, Cayden, Ben, of CA, and countless other family and friends! Donations may be made to www.MichaelJFox.org foundation to continue the search for a cure for Parkinsons. We are sad to announce that Doug Lindstrom passed away on February 12, 2018. Doug was a 1245 member for many years and spent most of his membership as a seasoned line hand with LMUD and Plumas Sierra. When he left LMUD and Plumas, he continued to practice his craft by training many 1245 Public Sector linemen as a line school instructor for Ruralite. Eventually Doug founded Evergreen Job and Safety Training and continued to provide much needed training to our members in the field of linework, metering and substations. Doug had an established life hierarchy that was unshakable… his strong faith came first, his unequaled love of family followed and his passion for the line trade permeated it all…. he lived and breathed linework and cared deeply about every person he ever taught. He will be missed by all who were lucky enough to know the Big Dog. Brother Paul Miller passed away on November 8, 2017. He first joined IBEW 1245 in 1960, and retired in 1996. 14-year IBEW member Walter Carbaugh passed away on Sept. 7. He served in the military for 42 years. Sarge is survived by his wife, three children and four grandchildren. Read his obituary here. 33-year IBEW member Kirk Jones passed away at Doctors Hospital in Modesto on Sept. 24. He worked as a lineman for PG&E, served in the US Army for two years, and was a regular contributor to many animal rescue organizations. Read his obituary here. We regret to announce the passing of former IBEW 1245 Senior Assistant Business Manager Vernon Loveall, who passed away on Sept. 26 at the age of 79. Brother Loveall was initiated into the union in 1961, and became active in the union soon after, serving as a shop steward, Executive Board member and Advisory Council member during his three-plus decades as a Local 1245 member. Read the full In Memoriam here. Doug Brady passed away peacefully at his home in Marina on June 19 , 2017 after a long hard battle with cancer. He was able to spend his last day surrounded by his family and friends. He leaves behind his wife Sherry and his two daughters Lyndsey and Ashley. Doug was initiated into IBEW Local 1245 in June of 1984 after he was hired by P.G.&E. as an Apprentice Lineman in General Construction. He progressed thru his apprenticeship and became a Journeyman Lineman. After some time he was promoted to Subforeman A. Later on in Doug’s career he transferred over to Moss Landing Electric Transmission as a Lineman, later accepting a position as one of the two Transmission Troublemen. Doug was a good teacher, foreman and friend and he will be greatly missed by all those who knew him. On Saturday, June 17, 2017, our union brother and Shop Steward Boris Chavez passed away after a brief battle with an unknown illness. Brother Chavez was an Electric Distribution System Operator for PG&E and an IBEW 1245 union member since 2006. After only two years as a member, Brother Chavez became a Shop Steward, and soon became known as one of our most knowledgeable and dedicated Stewards. 27-year member David Combs passed away at the hospital in Wednesday, May 3, after a long battle with a illness. He was employed at PG&E as a GC Gas Working Foreman B. His funeral will be held on Friday, May 12, 2017 in Livermore. New member Tony Martinez lost his life in a motorcycle accident on Thursday, April 20. 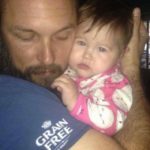 He was hired on as a Tree Trimmer for Wright Tree Service at the beginning of 2017, and leaves behind a girlfriend, step-daughter and new baby. 13-year member Mark Vickers passed away on April 9, 2017 at the age of 49. He was employed as a Gas Compliance Rep at PG&E. Tim Riblett, a PG&E compliance inspector out of the Bakersfield yard, lost his life in an off-the-job car accident on April 2, 2017. 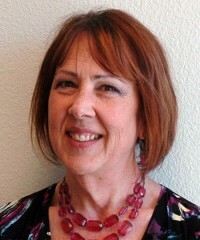 His wife Kathy, a former PG&E employee, was also in the vehicle and sustained injuries. A vacation sale has been set up for the Riblett family. Learn more here. 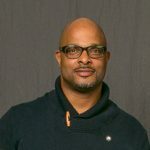 Eight-year IBEW 1245 member Delano Hudson lost his life in an off-the-job car accident on April 2, 2017. He was 47 years old, and was employed by PG&E as an Apprentice Cable Splicer in Richmond at the time of his death. Flowers, cards and condolences may be sent to Maxine Watson (mother), 2716 Wiswall Dr., Richmond Ca 94806. A vacation sale has been set up through the Company. For more information, click here. Thirteen-year IBEW member Bryan Thomas Reger passed away from a heart attack on March 24, 2017 at the age of 38. Reger was employed as a Troubleman for Liberty Utilities at the time of his death. Brother Reger leaves behind a wife and four children, and they need plenty of support during this difficult time. The family has set up a GoFundMe page; please contribute what you can using the link below. It is with great sadness that we announce the death of IBEW Local 1245 member Nash Mayer. Brother Mayer was a line clearance tree trimmer employed by ArborWorks. He was working on a job for PG&E when he suffered fatal injuries while doing drought-related vegetation work in Mariposa County on Dec. 1. Brother Mayer leaves behind a wife and ten children, ranging in age from 20 years to just four months old. Friends of the family have set up an online fundraising page to help the family during this holiday season. To contribute, please visit https://www.gofundme.com/helping-hands-for-the-mayers. It is with a heavy heart that Local 1245 mourns the passing of former Business Rep Frank Saxsenmeier. Brother Saxsenmeier passed away on November 7, 2016, just one month before his 79th birthday. Saxsenmeier was initiated into Local 1245 in November of 1959, when he first began working for PG&E. 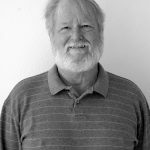 In fall of 1978, he joined the union staff as a Business Rep, and over the years he represented members all across the Bay Area and held a number of different assignments, including PG&E Diablo Division, East Bay Steam, Materials and local GC, as well as Foster Wheeler, AC Transit, City of Alameda, City of Berkeley, City of Oakland and Davey Tree. It is with great sadness that I let you all know that this weekend, one of our own from Healdsburg was taken from us. Many of you can remember Christopher Clark, the fantastically happy Bus Driver/Meter Reader that we were so lucky to have had in our fold until he recently retired. On Saturday, November 5, 2016, he succumbed to a quick and brave fight with an aggressive brain tumor. He passed in his home surrounded by those who always loved him and who always will. With no doubt that his proud roots sank deep in his native New York, his telltale accent was the exclamation point on everything he said to co-workers and citizens of Healdsburg, always funny, always happy and always a gentleman. After decades of Communications Workers of America Telecommunications Tech work spanning from New York to California, there was no doubt that Chris was an old-school union working man. 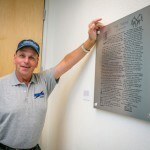 When he came to Healdsburg, he jumped right in and became a proud IBEW Local 1245 brother to us all. He is survived by his wonderful wife, Toni, and their two loving children. Toni has asked that all Chris’ friends, brothers and sisters who remember him and wish to stop by and pay their respects, share a funny story or just raise a glass can do so on Saturday November 12, 2016 from 2pm to 5pm at their residence in Windsor: 7255 16th Hole Drive, Windsor CA 95492. William E. Chambers passed away on Sept. 2, 2016. He served as an IBEW 1245 shop steward for many years when he worked for the US Bureau of Reclamation (USBR) before retiring in 2005. He helped with Boy Scouts, Girl Scouts, Awana, coached Little League, T-ball and Youth Baseball. He served on the Lewiston Elementary School Board and Lewiston Community Services District. 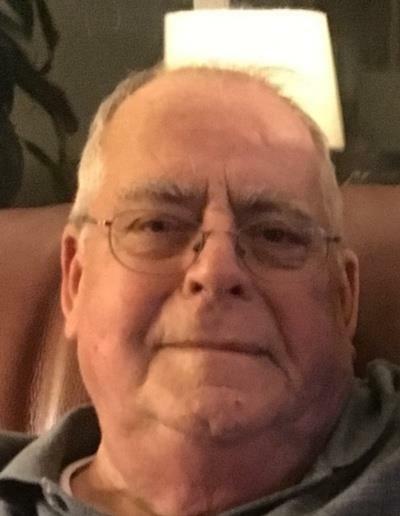 He was a 23-year member of the Lewiston Volunteer Fire Department where he served as an EMT-1A-D, and the ambulance captain; he was also a CPR-first aid instructor. 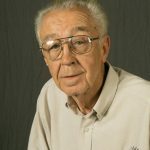 He helped draw up plans for the Lewiston Community Church, the snack bar/announcers booth at the baseball field, the Lewiston Park Pavilion, and many other places in the town. He was a member of the Red Cross DAT and served on the cemetery and water boards. In 2004 he was appointed to the Trinity County Board of Supervisors by then Gov. Arnold Schwarzenegger. He was truly honored and loved that position, he felt the need and fought hard to keep Trinity Hospital open to help the citizens of the county. He worked hard with other passionate issues including airports and lookouts. Please join his family and friends at 3 p.m. Saturday, Sept. 10, at the Lewiston Community Church. Please wear bright colors and for our Relay family, if you’d like, please wear your favorite Relay shirt. Donations can be made in Bill’s name to the Shriners Hospital for Children in Northern California, 2425 Stockton Blvd., Sacramento, CA 95817. We regret to announce the death of IBEW 1245 member and PG&E Meter Maintenance Tech David Spurgeon. Preliminary reports indicate that Brother Spurgeon died when his vehicle flipped over into a canal while he was driving on a levee road. He was 52 years old and had been working for PG&E for the past 28 years. Thomas Kevin Murphy passed away on May 21, 2016. 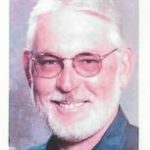 He was a 19-year member of IBEW Local 1245 and had worked for PG&E as a Compliance Inspector at the Cupertino Service Center before retiring in 2015. Choate at the 2011 IBEW Convention in Vancouver, British Columbia. Bob Choate loved line work. Even when he was just starting out as a PG&E groundman in the mid-1960s, he avoided taking sick leave because he was afraid he might miss something new. Choate, who died suddenly on March 1 at the age of 70, gave the next 40 years of his life to the trade, first as a lineman for PG&E and later as a union representative. He earned widespread respect for his knowledge of line work, but even more so for his commitment to his peers. For those who wish to pay their respects, the viewing will take place on Sunday, March 6th, between 2:00 – 6:00pm at Daneri Mortuary, 415 Broadway, Jackson, CA. 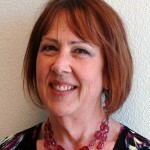 The service will be on Monday, March 7th, 11:00am at Immaculate Conception Church, 125 N. Amelia St., Sutter Creek, CA. I remember working with Tom at the Geysers Unit 1 & 2 when I was a Substation Maintenance helper out of the Santa Rosa shop. When the Geysers started with unit 1 & 2, every worker held a dual position of their position /operator. Tom knew all the units on the project before retiring. We will miss his humor and own style of witt. Rest in Peace Tom. 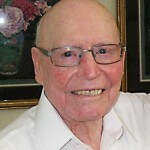 DINGWALL, Sr., Thomas A. Also known to his family and many friends as Tammy, Gramps or Daddy Dinger, Tom passed away at home in Santa Rosa, CA, February 15, 2016 at the age of 81. A native of Santa Cruz, he was reared and educated in Petaluma, graduating from Petaluma High School, Class of 1953. He later attended SRJC and PG&E Electrical Training. Tom also served in the National Guard for 20 years and he retired from PG&E in 1993 after 35 years of service. After retirement, he worked another 18 years at the Konocti Vista Casino until 2013. He is survived by his wife, Shirley Dingwall and is the beloved father of Kathryn Schnell (Steve), Mary Clifford (late Mike Clifford) and Tom Dingwall, Jr. (Nellie). Cherished grandfather of Court Dingwall (Taryn), John G. Frazell (Sarah), Jennifer Searles (Kasey) and Katie Frazell. Loving great-grandfather of Ava Dingwall and Charlotte Frazell. Also survived by his brother Joe Kelly; his sister-in-law, Topsy Agius and family and dear friends David Carmichael and Mark and Genia Turner. At the request of Tom, there will be no services. We regret to announce that longtime IBEW Local 1245 member and former Business Rep Jeff Johnstone passed away at the age of 68. Brother Johnstone was initiated into the IBEW in 1968. He worked for several Local 1245-represented Outside Line contractors during the 90s before joining the Local 1245 union staff as an Outside Line Rep in the Riverside office (prior to Local 47 assuming the representation of the southern part of the state). “He was a great worker, intelligent, and a good union man,” recalled Local 1245 Rep Mark Rolow, who worked on several assignments with Johnstone. 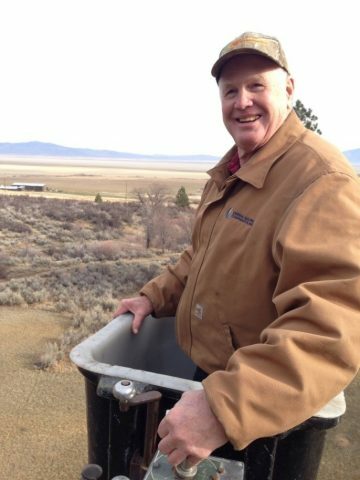 Brother Johnstone’s memorial service is scheduled for Sunday, Jan. 24 at 1pm at Sunset Memorial Park in Apple Valley. We regret to announce that IBEW Local 1245 member Kenneth Arlen Buck Williams died on the job on Dec. 30 in a forty to fifty foot fall East of Orleans, CA in Humboldt County. Williams was 26 years old and had been employed by Wright Tree for a little over three years. The Orleans area had been hit hard with snow and many trees had failed as a result of snow loads. The power had been restored but there were still hundreds of trees damaged and threatening the lines. The accident occurred during the effort to eliminate these hazard trees. Kenneth Arlen Buck Williams was born in Everett, Washington on December 12, 1989 and left us to start his journey on December 30, 2015 at the young age of 26. He is survived by his wife Future Williams, children Kila:gyah, Nas-che-wen, and Ben Jr., his Father Anthony Paul Williams Sr., his Mother Reylyne Phyllis Davis, Maternal Grandmother Ethel Ruth Davis, Paternal Grandmother Claudette Parazoo, Brothers Aaron & Alaina Williams, Talon Williams, Joseph Lewis, Sisters Samantha Norton and Stormie Lewis and many aunts, uncles and cousins. On February 23, 2013 he married his best friend and love of his life in Lake Tahoe, California. Arlen was a man of many great talents. He loved playing sports, he was a very competitive player no matter what sport he was competing in. He was a volunteer coach for youth softball and basketball. He was a man of his word and just an all around kind hearted and loving person to many people. Arlen was a hard worker who provided for his family to make sure they were comfortable and well taken care of. He enjoyed his time with Wright Tree Services and the crew that he worked with. Arlen lived his life to the fullest with a smile on his face. As a child, Arlen loved being in the trees or at the top of high surfaces. He had “NO FEAR”. When he was younger, he would follow his older brother Aaron to baseball practice dragging along a bat and mitt. Arlen loved being outdoors cruising the mountain tops, hunting, fishing, eeling, mushrooming and cutting wood. Arlen had unconditional love for his family and friends. He was a loving person and will be greatly missed by many. He is preceded in death by his Grandfathers Reggie Davis, Kenneth Williams and Herman Sherman Sr., Grandmother Elizabeth Montgomery, Brothers Anthony Paul Williams Jr.(Lil Tulalip) and Kanoe Williams, Uncles Reggie “Babes” Davis Jr. and Ramey Davis, Ronnie “Deanie” Davis. There will be a wake service held Wednesday, January 6th at 6:00 pm at his home on 38 Hospital Road in Hoopa. Funeral services will be held at the Hoopa Valley Tribal Neighborhood Facility on Friday, January 7th at 11:00 am. Burial will be held at his residence, immediately followed by the reception at the Hoopa Fire Hall. It is with great sadness that we announce the death of IBEW 1245 Lineman Clifford (Cliff) Bengs of Redding. Bengs, a 13-year member of Local 1245, was working as an Electric Crew Foreman at PG&E when he was involved in what appears to have been a rigging accident on Sept. 30 that took his life. Bengs was 40 years old, and is survived by his wife (Norie), daughter (Gilianne, 3 years old), son (Ethan, 15 months old), mother (Marcia), siblings (Alicia, Bryant) and extended family members. To send a donation or kind word to Bengs’ family, click here. Services for Cliff Bengs will be held on Thursday, October the 8th at 10 a.m. at Anderson River Park, KC Grove Pavilion, 2800 Rupert Road, Anderson CA 96007. The services will be followed by a procession to Saint Joseph Cemetery, 4075 Eureka Way, Redding CA. A reception at the park will follow. James Elsie worked for PG&E, Drum Division, and retired in 1995 after 32 years. He passed away on August 13, 2015 at the age of 75. Mr. Else was born in Mt. Carmel, Mont. on September 11, 1939 to Vera Lee and Earl Edward Elsie. He graduated from High School in Houston, Tex. in 1956 and enlisted in the Air Force in 1957, James served his county in the Air Force until 1963. He lived in Auburn for 38 years. He is survived by his devoted wife Mary K Elsie, his son Dean Elsie, daughter Deanna Fernandez and cherished grandson Ryan. We will all miss Charles’s Smile and laughter that he brought to our retiree club meetings over the years. For the last several months, Charles was unable to attend the meetings due to his medical condition. He asked Art Fahrner, our club president, to still call him each month to “keep him in the loop.” Rest in peace brother! 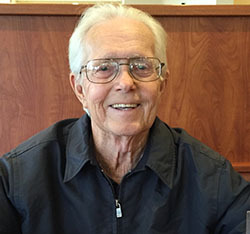 MEIER, Charles F. 99, peacefully passed away at home in Santa Rosa, California on July 11, 2015. Charlie was born to Charles and Elizabeth Meier in Azusa, California. He was a welder for the Navy at Mare Island during World War II. He also worked for PG&E Santa Rosa division where he retired after 24 years. Charlie loved camping, RVing, traveling, watching sports and dancing. He served as president of the Santa Rosa Folk Dancers for several years. Most of all, Charlie loved his family. He is survived by his wife Sharon Meier; daughters Beverly Brooks and Billie Meier; son Charles (Pat) Meier; five grandchildren; six great-grandchildren; three step-daughters, Beth Justice, Cindy (Steve) Dolman and Karen (Stan) Smith; three step-grandsons; and one step-great-granddaughter; niece Nancy Minthorne; great-nephews; and other loved ones. The family would like to thank each caregiver from Sutter Care at Home in Santa Rosa. They loved and cared gently each day. Donations may be made to Sutter Care at Home, 110 Stony Pt. Road. #2004, Santa Rosa CA 95401. A Memorial Service will be held on Friday, July 17 at 1:00 p.m. at Chapel of the Chimes, 2601 Santa Rosa Ave. Santa Rosa, CA 95407 with reception to follow. Services Entrusted to Chapel of the Chimes Cemetery. Chris Habecker, IBEW 1245’s long-time recording secretary and one of our brightest lights, died June 30 of a recently-diagnosed illness. Her service to the union, her loyalty to the cause of labor, and her irrepressible good cheer made Chris a good friend to many and a sister to all. She was initiated into IBEW 1245 in January of 1976, shortly after being hired by PG&E. Six years later she became a shop steward, reflecting early on her commitment to serving members and defending their rights. It was a position she held until her recent retirement from the company. Read the full obituary here. IBEW 1245 member James Goforth died on May 13, 2015. He was 74 years old. Brother Goforth, a resident of El Dorado Hills at the time of his death, was initiated into IBEW 1245 in January of 1966. He worked for PG&E for 41 years and was a member in good standing at the time of his death. IBEW 1245 extends its condolences to Brother Goforth’s wife, Carol, and all friends, family and former coworkers of James Goforth. The following has been provided by Jeremy’s family. My husband, Jim Murgatroyd, and I are sad to say we tragically lost our son-in-law, Jeremy Pendell, on March 7, 2015. He had been ill with pneumonia for a week and suffered a blood clot to the lung. He was 29 years old. 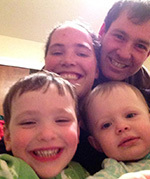 He leaves behind his stay-at-home wife Robyn, his 4 year old son Landon, and his 2 year old daughter Anzley. Jeremy was a selfless person. He loved everyone he met and was loved by everyone who had the privilege to know him. Above all, Jeremy loved his wife and kids. He was the sole provider for his family. Jeremy wanted the very best for his kids. He worked hard so that Robyn could be a stay-at-home mom and care for their kids, rather than having to put them in daycare. Even as a teenager, Jeremy wanted nothing more than a wife and kids–a family of his own. They were his pride and joy and everything he did was with them in mind. Jeremy and Robyn had just moved down to San Jose a year ago for a welding job with PG&E. That move had drained them of their savings. Robyn now has to move them back north to be nearer to family. This transitional time, with Robyn supporting and raising the kids on her own, will be extremely difficult for the family. As Robyn seeks housing, a job and childcare for their children, they will need support. Please click here to donate to this family and help with these expenses as they get back on their feet after the tragic loss of Jeremy. Jeremy’s memorial service will be held Friday, March 20, at 1 pm at Stonyford Community Church in Stonyford, CA. There will be a potluck gathering at the Pendell ranch immediately following. All are welcome and encouraged to attend. 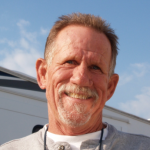 A long time IBEW 1245 member and 34 year PG&E employee , Ron passed away on December 4, 2014. He was a Journeyman Electrical Technician who retired from PG&E in 1994 after 34 years of service. Ron leaves behind loving friends and family, including son Todd Shiels, Journeyman Electrician and IBEW 1245 member employed at Lockheed Martin Space Systems. Todd is also the IBEW Local 1245 Advisory Council member for our Manufacturing membership. IBEW 1245 Business Representative Debbie Mazzanti, a feisty champion of workers’ rights during a 40-year union career, died Oct. 1, 2014 at the age of 62. Her union colleagues were stunned by her sudden death, perhaps in part because Sister Mazzanti was usually the most animated person in the room—whether she was staking out a position, asking an uncomfortable question, expressing her allegiance to the union cause, or simply making a wisecrack to the person sitting next to her. So powerful was her voice she was invited to sing the national anthem at the IBEW’s International Convention in 2001; her passing leaves a great silence. Read the complete tribute to Debbie and view more photos here. The following email was sent by Smily Stahl, announcing the death of Reggie Glisar. 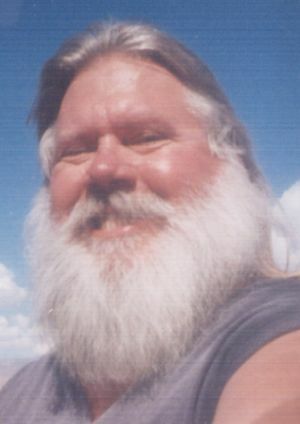 Reginald C. “Reggie” Glisar, 67, of Visalia, Calif., formerly of Sioux City, passed away unexpectedly in Saturday, May 31, 2014, at his residence. Reggie was born on April 7, 1947, in Sioux City, the son of James H. Glisar and Evangeline. He graduated from East High School and was a journeyman lineman for 45 years. Reggie was one of my best friends for many years we were both out of the same local 55 in Des Moines, Iowa, and he worked out of 1245 in Southern California for the last part of his career. We worked on many 500 kva transmission lines together where there were hundreds of men on the job. Reggie was always highly respected by everyone that worked with him. Reggie always had a good thing to say about everyone, no matter if they deserved it or not. This A ticket journeyman’s knowledge of line work was the best I’ve ever known. Reggie was a big person and the only thing bigger than Reggie was this heart . Reggie was married to his best forever perfect match and friend Bonnie since 1997. Reggie and Bonnie had the same sense of humor. They both loved their Chocolate Labs, Missouri and Muddy. They would always swim in their pools fetching rocks and even a bowling ball. The lineman fraternity has truly lost a golden strand in the lineman hand line of history. From all loving friends Andy, Stretch, and all the lineman who knew him: WE LOVE YOU BROTHER. YOU WILL TRULY BE MISSED. 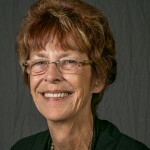 On April 28, while a good number of us were in Las Vegas at the ARA National Convention our good friend Evelyn Kelly passed away. Evelyn Stiteler Kelly was born in New York City on June 11, 1930. Evelyn always supported the retirees, especially on that trip for the protest in New York City and our retiree issues. Evelyn moved out west in the 1950s. She was predeceased by two husbands: Burton Stiteler, and later our special friend, Sylvester Kelly, a long time member of IBEW 1245, who was instrumental in defending retiree benefits at NV Energy. Viewing is between 10:00 &12:00 on Thursday, May 8, in Carson City, at Autumn Funeral home, 1575 North Lompa Lane . A grave side service will be held the same day at the Silver Springs cemetery, north of Highway 50, to 95 cutoff at 1:00 p.m.
Celebration of Life will be held Saturday, May 10 at the Faith Baptist Church, 5715 Elm St., Silver Springs NV at 3:00 pm. For more details or directions, call 775-577-9600. It is with deep sadness that I inform you of the passing of De Anza Division Electric Crew Foreman, Ted Morris. Ted passed away on Thursday, April 3, 2014 after a valiant 1.5 year fight against a serious illness. His wife Lisa of 23 years was with him when he peacefully passed away. Besides Lisa, Ted also leaves behind his teenage children Dimitri and Garrett, as well as his Mother, Thea and Sister, Vicky. During Ted’s journey, he was determined to beat this terrible disease and return to work at PG&E as soon as he possibly could. 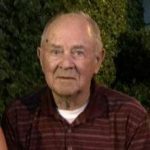 Ted being ever the optimist, whenever he was asked how are you doing, his reply was always consistent and sincere, I am fine, enough about me, how are you doing?” He always brought a positivity to those he greeted, often holding a Starbuck’s coffee cup with a paper umbrella stuck in the top. This gives insight into the caring and charismatic person that Ted was. It has been a very difficult time for all those who knew Ted, especially his family. Ted had many close friends at PG&E and in Electric Construction group, in which Ted was a proud Lineman for 20 of his 24.5 years at the Company. In honor of Ted’s memory and in support of Lisa, Dimitri, and Garrett, employees will have an opportunity to voluntarily sell and donate the proceeds of their vacation to Ted’s family. Instructions for submitting your requests will follow. 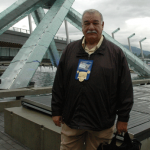 Vern Archer, a 23-year member of IBEW 1245 and a welder for Pacific Gas & Electric, died Jan. 29, 2014. The following obituary appeared in the Manteca, Ca. Bulletin on Feb. 8, 2014. Vern Archer, 44, was welcomed by his father, Herman Archer, in heaven January 29, 2014 in San Francisco. He was born on January 17, 1970 in Livermore, California. Mr. Archer is surviving by his wife of 19 years Mitzi Archer. Together Vern and Mitzi have two sons Jacob and Andrew. He is also survived by his mother Margaret Archer as well as his brothers Norman Archer and Brian and wife Lisa Archer. His sister-in-law and brother-in-law are Dan and Jeanetta Allen. He was blessed with eight nieces and nephews Corey and Kaitlyn Allen, Dustin and Nicole Archer, Brian and Samantha Archer and Justin and Kayla Stoner. 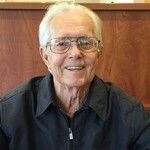 Vern was a lifetime resident of Manteca and Salida. He attended local Manteca schools and graduated from Manteca High, class of 1988. He was a 26 year employee of Pacific Gas and Electric as a Welder. He attended Big Valley Grace Community Church in Modesto. Vern enjoyed his job and the numerous friendships he made. He loved spending time with his family boating at Don Pedro. He was an avid NASCAR fan and faithful Raider Fan. Vern had countless friendships which were evident with his many get-together’s and bbq’s. Vern was always willing to help anyone that needed it, never expecting anything in return. His strong-will and loving heart will never be forgotten. He will be missed deeply. P.L. Fry & Son is honored to be serving the Archer family. A memorial (was) held on Tuesday, February 11, 2014 at 10:00 a.m. at Crossroads Community Church 1505 Moffat Blvd. Manteca, Ca. In lieu of flowers donations can be sent to the family at gofundme.com (search Vern Archer). 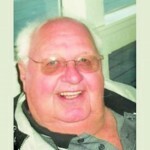 An online guest book is available for condolences to the family at www.plfryandson.com (search obituaries). We thank IBEW 1245 member Randy Lofing for notifying us of Brother Wayne Lofing’s death. Randy is a 7-year IBEW 1245 member working in the Utility Services & Maintenance Unit at Modesto Irrigation District. Wayne was initiated into IBEW 1245 in 1971 and remained a member for 31 years until his retirement. He was a Working Foreman A. Services are scheduled for Saturday, Jan. 25. Details are given in the following obituary, which appeared in the Modesto Bee. Wayne Allen Lofing, born in Rocky Ford, Colorado and passed away in Ceres, California. Wayne worked for PG&E for 34 years as a Crew Foreman; he loved drag racing, fishing, and playing video games with his grandson Logan. Wayne is survived by his wife, Lynette Lofing, daughters: Heather Codinha, Sherri Lofing, Donna Lofing-Vigil, and Terri Pierce, grandsons: Logan Codinha, and William Lofing-Vigil, brothers: Glen Lofing, Ron Hendren, and Gary Tollie, seven nieces and nephews and their children. He is preceded in death by his father, Henry Lofing, and mother, Mollie Watkins. A Celebration of Life will be held at Lakewood Funeral Home, Hughson, CA. in the Heritage Chapel, on Saturday, Jan. 25th at 1:00pm. Remembrances can be made in Wayne’s name to the American Cancer Society. Posting Policy: IBEW Local 1245 will post notices concerning the recent death of any member or retired member. Notices will remain on this page for three years. Please note that the union is not automatically notified of such events, so we will only post notices when someone contacts us and supplies the information. Email death notices and obituaries to Rebecca Band at rgb1@ibew1245.com. Please give your name, the member’s name, photo of the member (if available) and any other pertinent information (including links to other published obituaries about the member) when sending us information. Thank you.